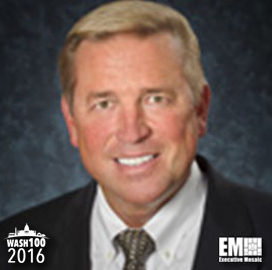 Executive Mosaic is honored to introduce Bruce Stanski, president of Fluor‘s government group, as an inductee into the 2016 edition of the Wash100 — Executive Mosaic’s annual selection of influential leaders in the government contracting arena. Stanski has led Fluor’s efforts to sell and deliver energy, construction and infrastructure services in the government market since he joined the Irving Texas-based company in March 2009. Fluor’s government group recorded approximately $2.56 billion in revenue during 2015 and represented approximately 14 percent of the company’s overall sales for 12 months. The company works with the Army Corps of Engineers to refurbish U.S. embassy facilities worldwide under a $95 million contract that it won a position on. Fluor also supports regional forward planning activities of the U.S. Africa Command and Southern Command as part of the Army’s Logistics Civil Augmentation Program IV contract vehicle, which the service branch reorganized in September. “From the work we do through our commercial energy and chemicals and mining business lines to our work serving the U.S. government, Fluor has extensive experience in Africa and the Americas,” Stanski said. The company is also a partner in a joint venture with British company AMEC and that collaborative business was awarded a spot on a potential $5 billion contract for Air Force base life and operations and logistics support services. Stanski also designed federal government consulting, contracting, finance and administration courses and taught the subjects during a seven-year tenure at Johns Hopkins University. 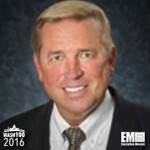 Executive Mosaic congratulates Bruce Stanski and the Fluor team for their selection to receive this award.